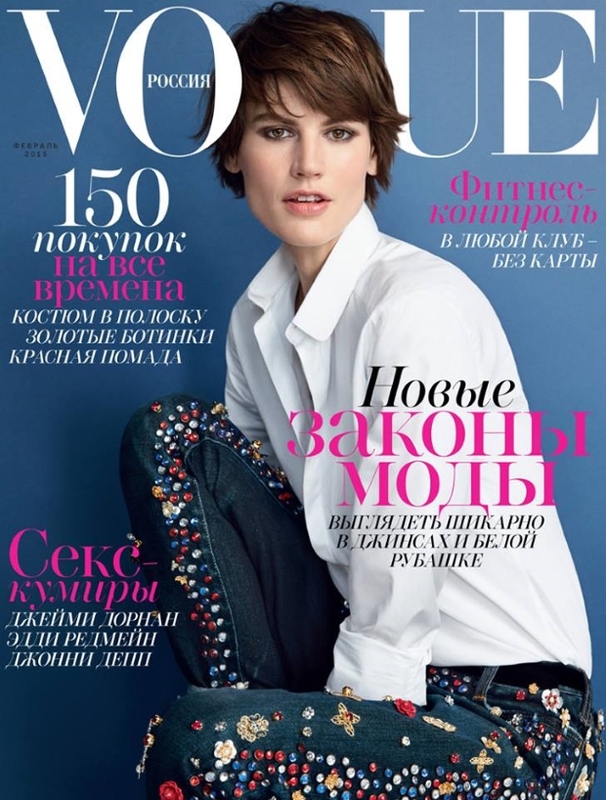 Vogue Russia has been receiving a lot of flack from forum members lately for its unremarkable covers. Unfortunately, the magazine’s February issue isn’t exactly helping matters. A magazine like Vogue usually screams glamour, but there’s a lack of pizzazz on this one, even with Saskia de Brauw sporting a pair of unusual embellished jeans. Photographed by Patrick Demarchelier, we can’t understand how such a boring concept was executed. “The covers are getting worse and worse from VR. To think I once adored this edition! This image is an outtake, or a light test shot at best, only a fool would grant it worthy of publishing! Not even A-list photographers can elevate when working for them. But I digress!” expressed Miss Dalloway as soon as the cover was posted. “Lazy. Saskia deserves better,” added Nepenthes. GlamorousBoy described the cover as “very ordinary.” Ouch! “I hate those jeans, however I still think Saskia looks great,” shared fashionlover2001. “It’s a surprising choice for Vogue Russia. I’m happy to see a MODEL. I’m sick of seeing models-celebs all the time. Saskia looks really good. Everything’s working here. I like the blue layout and not too much text. Much better than [a] month ago!” commented narcyza, whose post stuck out from the rest. Do you think Vogue Russia even tried this month? Stay tuned for the issue’s content and add your own two cents here.